This was the first of them, the 1955 C-300. Technically, Chrysler built it to dominate NASCAR, which it did, but they had to build road cars too. It uses a 5.4-liter V8 making 300 horsepower, hence the name. Only 1,725 were built. Estimate: $75,000-$100,000. For more info, click here. This is my favorite of the 300 Letter Series cars. 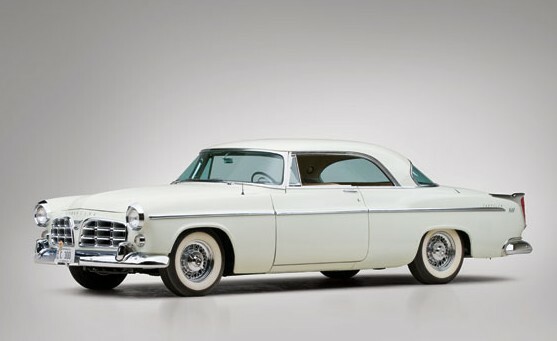 The look is a little refined from 1955 and power was up – the 5.8-liter V8 making 340 horsepower (or 355, depending on which engine option you chose). It was the most powerful car produced in the U.S. These are even rarer, with only 1,102 built. Estimate: $100,000-$125,000. More info here. The 1957 edition of the 300 was the 300C. 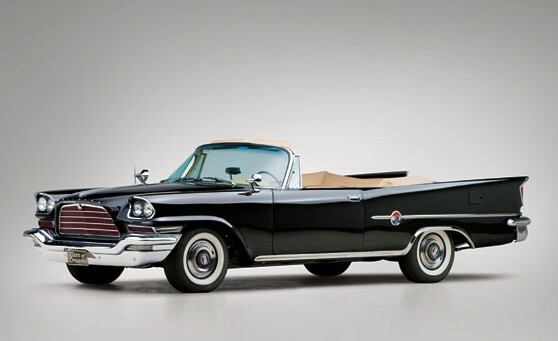 Offered in convertible form for the first time, Chrysler managed to move 2,402 of them – 1,918 coupes and 484 convertibles. The engine increased in size, to 6.4-liters and it pumped out 375 horsepower, again the most you could get in an American car. Estimate: $150,000-$200,000. More info can be found here. 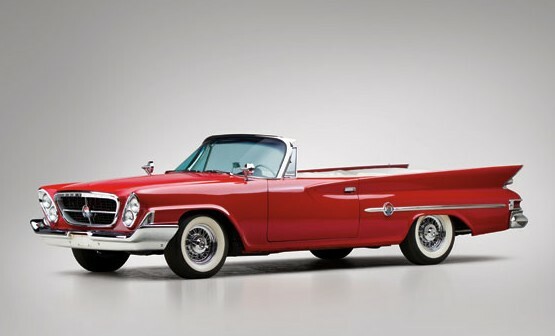 The 1958 300D was the last of the series to use the FirePower Hemi engine – again at 6.4-liters and tuned to 380 horsepower. A special run of 35 cars were built with fuel injection and 390 horsepower. Production was way down, with only 809 being built – 618 hardtops and 191 convertibles. Estimate: $175,000-$200,000. More info here. 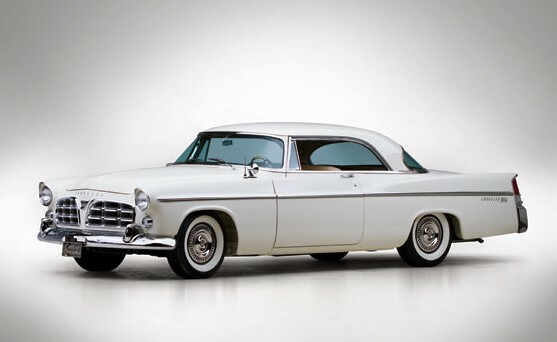 The 1959 300E was powered by Chrysler’s “Golden Lion” wedge-head V8. It was 6.8-liters in capacity but still made about 380 horsepower. Production sank even further to just 647 cars – 522 coupes and 125 convertibles. Are you watching the styling evolve as you scroll down this post? I am. Estimate: $150,000-$200,000. Check out more on this car here. The 1960 300F again used the 6.8-liter V8. It produced 375 horsepower. A special run of “short ram” cars (15 were built) made 400 horsepower and used the transmission from the Facel-Vega. 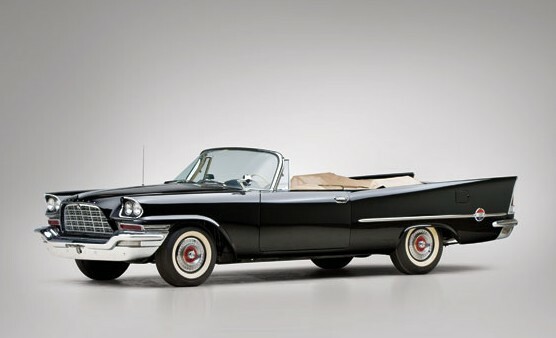 Production numbers rose for this model, which had a sort of intermediate styling between the 1959 and 1961 models – 1,217 were built, 969 were coupes and 248 were convertibles. Estimate: $175,000-$225,000. More info can be found here. I really like the styling here. The front headlights remind me of the cat eye horn-rimmed style eyeglasses of the period. The engine was a carryover from 1960 and production increased again to 1,617. Of these, 1,280 were coupes and only 337 were convertibles. There was also another run of “short ram” cars making 400 horsepower. Estimate: $140,000-$180,000. More info here. 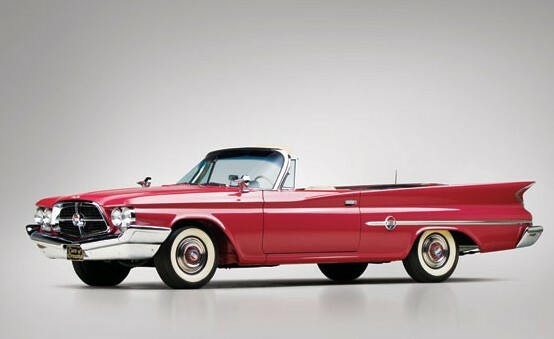 The front-end styling remained almost the same, but the fins disappeared for 1962. This was also the first year for the non-letter series Chrysler 300 (that is just “300” without a letter and referred to as the “Sport Series”, which was available with two or four doors). Styling differences between the two separate 300 models were non-existent. It was under hood where the difference lay. Power on the 6.8-liter V8 was back up to 380 and there were a few cars sold with a high-output 405 horsepower option. Production dropped significantly now that there was a cheaper alternative that looked the same. Only 570 were built, 435 coupes and 135 convertibles. Estimate: $60,000-$80,000. More info can be had here. Well this the last 300 offered from the Staluppi Collection and it is not a Letter Series car – although the Letter Series continued in 1963 with the “J”, 1964’s “K”, 1965’s “L”, the 1970 Hurst 300 and the 1979 300. 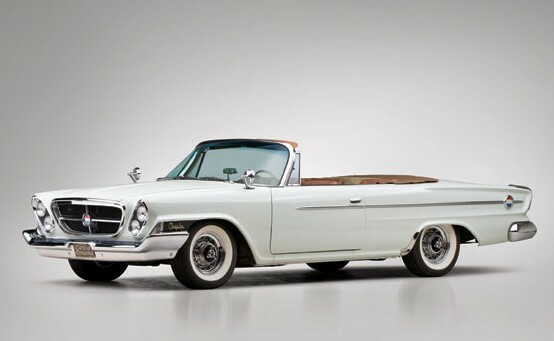 The 1963 300J was not available in convertible form. But the 1963 Sport Series was. 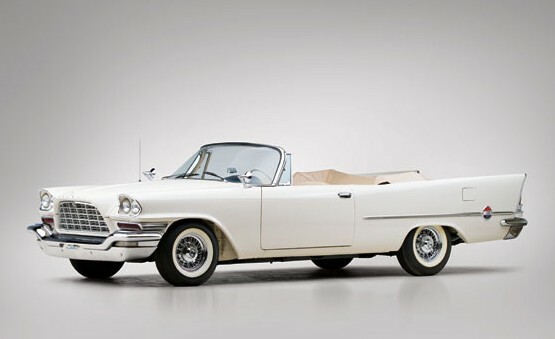 It was also available as a 4-door hardtop, sedan and 2-door hardtop. The Sport Series convertible still used a 6.8-liter V8 but it only put out 305 horsepower. 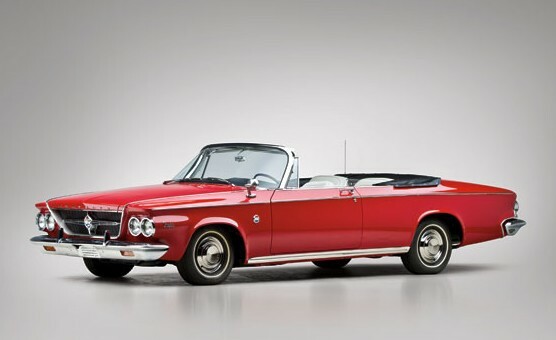 Production was much higher – 1,535 300 Sport Series Convertibles were built in 1963 while only 400 300Js were built in total. Needless to say, if you want to pick up most of the run of 300 Letter Series cars, then this is the sale for you. Estimate: $60,000-$75,000. You can read more here and check out more from RM’s sale of the Cars of Dreams Museum here. This entry was posted in Uncategorized and tagged 300 sport series, 300b, 300c, 300d, 300e, 300f, 300g, 300h, auctions, c-300, chrysler, classic cars, convertible, convertible coupe, coupe, hardtop, rm auctions by classiccarweekly. Bookmark the permalink.